This recently pulled advert caused controversy for being ‘exploiting childhood bereavement’. It shows a young boy talking to his mother about his dead dad – exactly the type of advert you need if you’re promoting a fast food restaurant. Instead of showcasing lingerie, this advert for Victoria’s Secret simply shows a bunch of Victoria’s Secret models playing American football in jerseys. Sure, it ties in with the Superbowl theme, but you don’t see any piece of Victoria’s Secret clothing anywhere! This very random advert for Levi’s shows a hamster running around a wheel furiously until it breaks. He then ends up dying of boredom now that he hasn’t got his wheel to run around. And this is meant to promote a clothing company? This advert sees two young people approach each other at a party before jumping into a pool together. Sure, they’re wearing clothes by Levi, but the ad itself doesn’t really have much to do with anything at all. The song featured in this advert, a cover of Keane’s ‘Somewhere Only We Know’ by Lily Allen, topped the charts. Even though the advert attracted a lot of attention, those who don’t know what it’s actually advertising can be forgiven, as there’s nothing to suggest it’s promoting a department store. This somewhat heartwarming advert about a boy and a penguin is nice enough, but like the John Lewis Christmas advert filmed the previous year, it doesn’t really tell you anything about John Lewis at all. The department store company have released Christmas-themed adverts every year since 2007, many of which, like this one, don’t really let you know they’re advertising a department store. 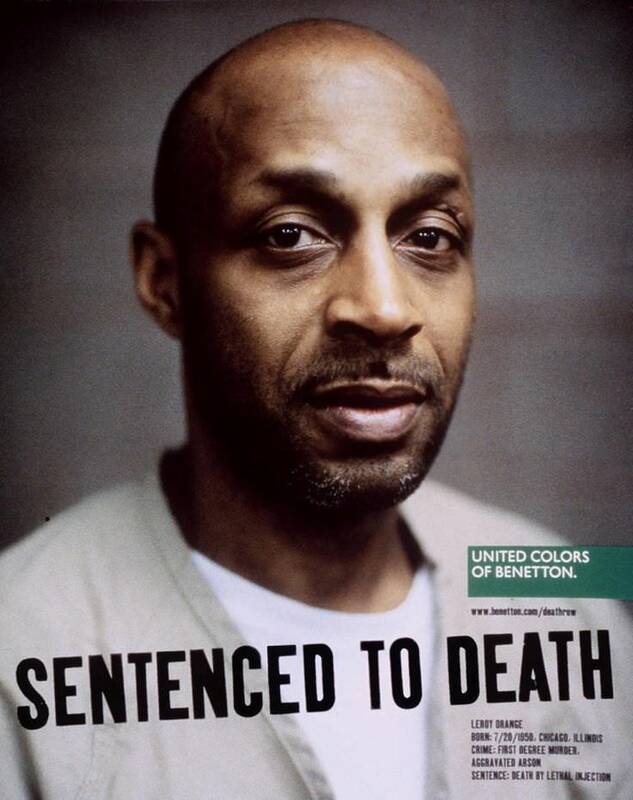 The fashion chain thought it would be a good idea to release ads featuring real-life US death row inmates, even though being sentenced to death has nothing to do with clothes or shoes or anything United Colors of Benetton sells. A classic advert, the Cadbury’s gorilla advert shows a gorilla come to life when he drums along to Phil Collins’ ‘In the Air Tonight’. What this has to do with chocolate is anyone’s guess. Here are 8 things you need to know about Ivanka Trump.